Gold is a favorite of investors, whether they have a few hundred dollars or millions. An investment in gold coins and bars (known as bullion) is a good hedge in uncertain economic times. If you take the time to learn the factors that affect the price of gold, it’s relatively safe and can be quite profitable. If you are willing to take risks, you may want to invest in gold futures. Strictly speaking, trading in gold futures isn’t investing; it is speculating (a polite word for gambling). The lure is understandable--people can and have become millionaires. But be warned. Most first-time traders in gold futures lose their money. Understand how investing in gold futures differs from buying gold. When you buy gold coins or bars, you are purchasing the metal. A futures contract of any kind is an agreement that you will pay the current price at some point in the future, regardless of the price at the time. If the price goes down you will lose money; if the price rises, you make money. This is a “call” contract; you can do the same thing in reverse with a “put” contract. What makes investing in gold futures so potentially profitable and so risky is the margin. Futures contracts are bought and sold with the trader putting up a small amount of the actual price (perhaps 10 percent). When you invest in gold futures costing $100,000 you put up $10,000 (or even less). If the price goes up 10 percent you can double your money. But if the price goes down 10 percent you lose your entire investment. Educate yourself about the factors that affect the price of gold. Three types of economic forces are important to the price of gold. Demand can increase because new buyers are entering the market. We have seen this in recent years as newly emerging industrial nations like China are creating growing demand for gold. Another important factor is the value of the dollar. When the value of currency falls, either because of inflation or a weak dollar on the currency exchanges, it takes more to buy gold, so the price rises. Economic uncertainty is also a major factor. Gold is a good hedge and a relatively safe investment. When economic news is bad, investors pull out of stock markets and put their money in safer investments--and gold is a perennial favorite. Open a brokerage account to invest in gold futures. Most traders use a discount brokerage. Buying and selling gold futures contracts depends on small changes in price most of the time, so experienced traders keep overhead to a minimum by using discount brokerage firms. Keep track of the price of gold and gold futures. Up-to-date information is essential when profit or loss depends on small changes in price. You can get daily quotes on the price of gold using the links available online. Futures contracts are always somewhat different in price and you will watch those prices separately. 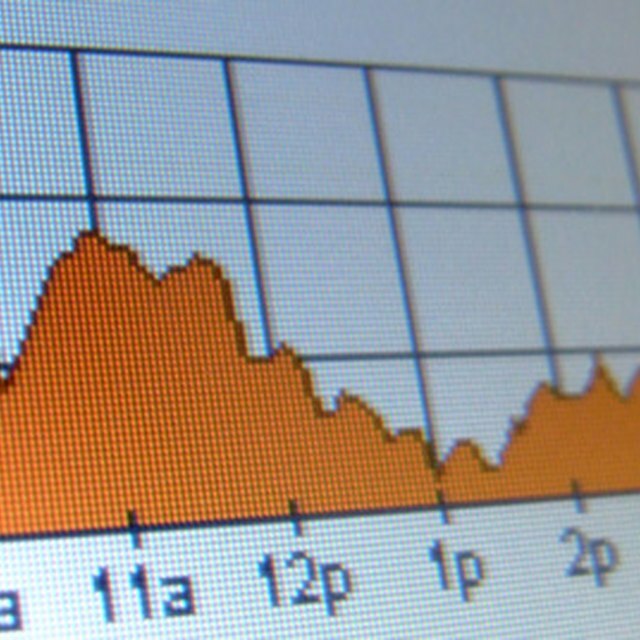 Most brokers have online sites where you can monitor prices in real time. However, you can see examples of gold futures by using the Chicago Board of Trade website. Study the markets and trading patterns for a while and practice by making mock trades. When you are ready, try your hand at trading gold futures. You can limit your risk by including a stop sell order with each trade. This is an order to sell automatically if the price drops a certain amount and is a good way to limit your losses--and you will lose money on some trades. Successful traders in gold futures are the ones who can limit their losses while taking advantage of profit opportunities. You will see advertisements that invite you to invest in a program to make you fantastic profits with little risk in the futures markets. Do not be misled. There is no guarantee of big profits and any claim to the contrary is a red flag and should be avoided.